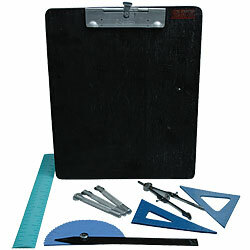 "Braille Supplies + Geometric Measuring Devices"
Geometrical Device with Spur Wheel and Rubber Mat Board. 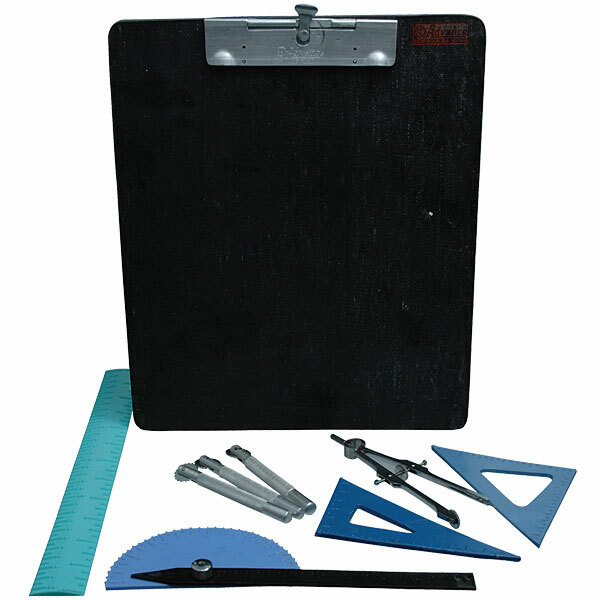 Set includes: 11-1/2 x 9-3/4 board with rubber mat, a protractor with swing-arm, a compass, spur wheel, a ruler and two triangle shaped rulers, all with inch marks depicted in Braille. This is a great learning tool for blind students learning about geometry, mathematics or engineering.